The report provides an in-depth analysis of the global glass fabric market. It presents the latest data of the market size and volume, domestic production, exports and imports, price dynamics and turnover in the industry. The report shows the sales data, allowing you to identify the key drivers and restraints. You can find here a strategic analysis of key factors influencing the market. Forecasts illustrate how the market will be transformed in the medium term. Profiles of the leading companies and brands are also included. 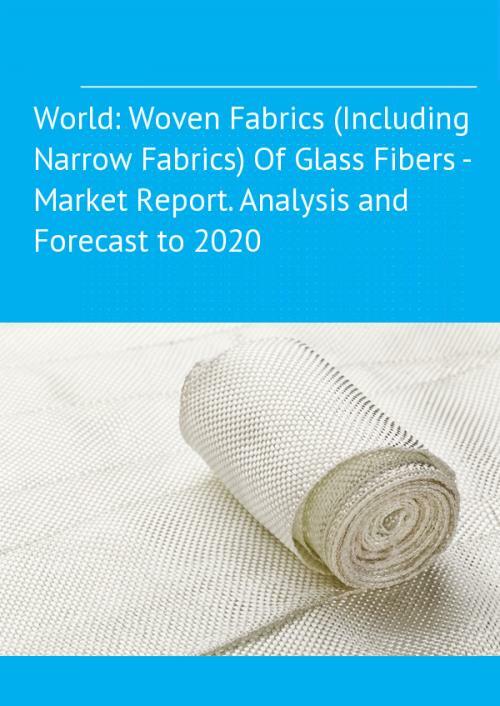 Woven fabrics of roving of glass fibers; woven fabrics of glass fibers of a width not exceeding 30cm; woven fabrics of glass fibers of a width exceeding 30 cm, plain weave, weighing less than 250 g/m2, of filaments measuring per single yarn not more than 136 tex; and other woven fabrics of glass fibers.